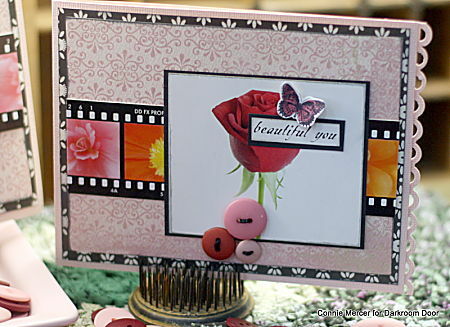 crafty goodies: Cards for that special MOM with Darkroom Door!! Hi everyone, Connie here with a couple of pretty cards that would be perfect for that special mom in your family!! 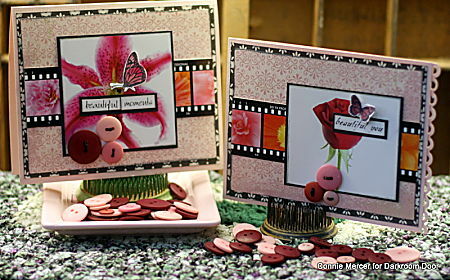 I used the Full Blooms Photochips and the Bright Blossoms Filmstrip. They look so good together. The butterflies are from the Darkroom Door Butterflies set. This is one of my favorite stamp sets. Who doesn't love butterflies? They look great on everything!!! 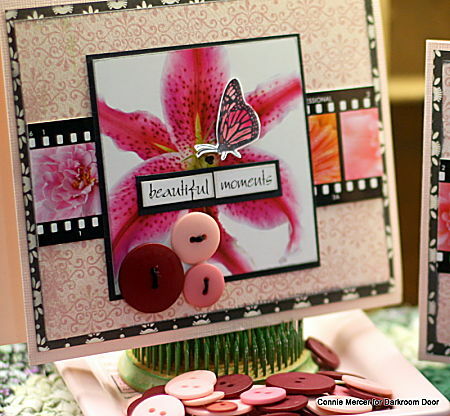 The other products I used were the Viva La Flora Wordstrip and the Kimono Wordstrip. wow those flowers are gorgeous.. love all the layering and how you added the buttons.. so so pretty..
Wowwwwwwwwwww! So gorgeous!! I love love love those flowers!!! oooooo they are soooo pretty. wow. those flowers are just amazing!! totally awesome connie! Gorgeous!!! Love the color and the buttons!